The good news is, warmer days are on the horizon. The bad news is, this post-holiday, pre-springtime stretch of weeks can feel very long and very, very chilly. But that is no reason your social life has to suffer. In fact, we find that people are eager to get out from under their blankets and warm up with trivia nights, fire pits, or even just drinks at a local dive bar. With that in mind, here are a few hot takes on how to host on a cold night. Why to host: You like to cook, and you miss your friends. 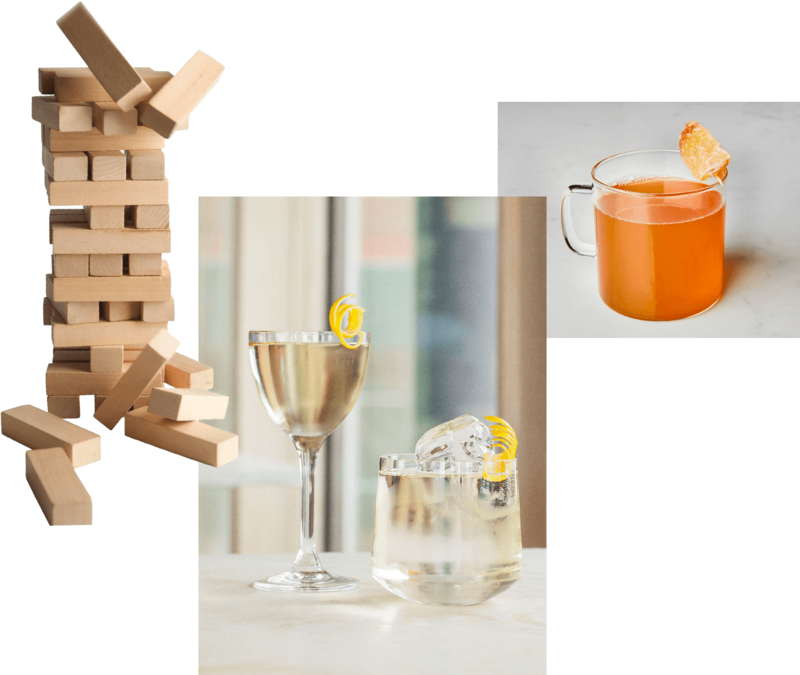 This concept is for anyone who loves to entertain but hates cleaning the house, finely chopping garnishes, or fretting over a menu (so, everyone). Inspired by harried but optimistic parents, the only real rule is that there are no rules. No time to tidy up? No problem. What to do: Not much! 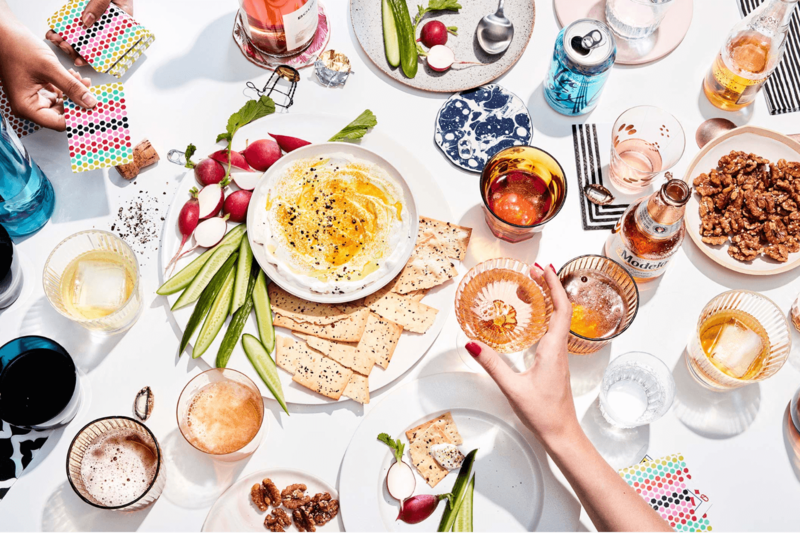 For the sort-of dinner party host, Amazon is your friend. 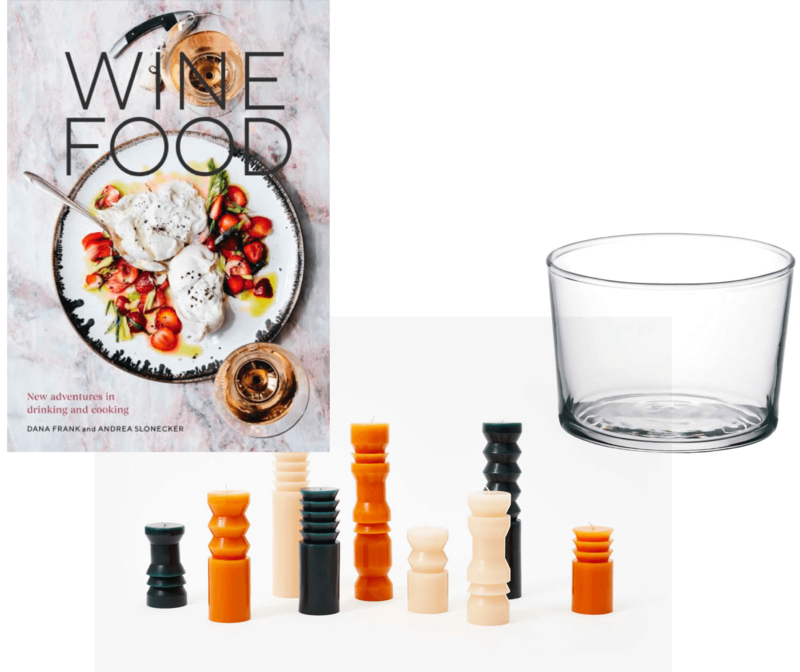 2018 was rich in cookbooks, so find a menu you’re into from How to Eat a Peach or Tiffin, and order some cloth napkins that double as dish towels (or just use what you have), these candles (no candle-holders required), and this stackable glassware we can’t get enough of. Let your guests know this isn’t “like a regular dinner party, it’s a cool dinner party” by sending a Flyer out a few days before, with the attitude that whoever can make it, great. Trying to find a night when all of your friends are free is impossible, so don’t even bother. Level up: If your friends also like to cook, consider making it a cookbook club, in which you take turns hosting and selecting a menu from a cookbook. Keep the meals interesting without adding a lot of extra effort by using an unexpected recipe like a Persian tahdig (a.k.a. the new crispy rice) from Bottom of the Pot, or swap chili for a gumbo dish from Between Harlem and Heaven. Step up your salad with hearty winter recipes from Salad Feasts. If you and your friends like your vino, find pairing options in Wine Food: New Adventures in Drinking and Cooking. Flyer created using the Frostbite vibe. Fire pit: Sunnydaze. Why to host: Make the most of the wintery weather with activities planned around the elements. Bundle up and head to the nearest snow-covered hill for some sledding. Or, hoof it to a nearby lake or park for some adventures in ice skating. 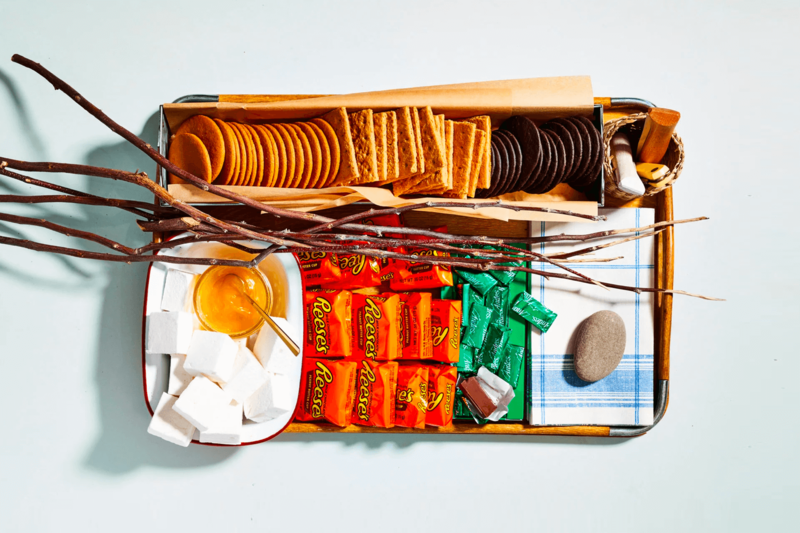 Follow up the athleticism with sugary treats like hot cocoa and s’mores around a fire. It’s hard to resent the cold when it’s providing so much amusement. What to do: Spark the energy with a themed invitation. 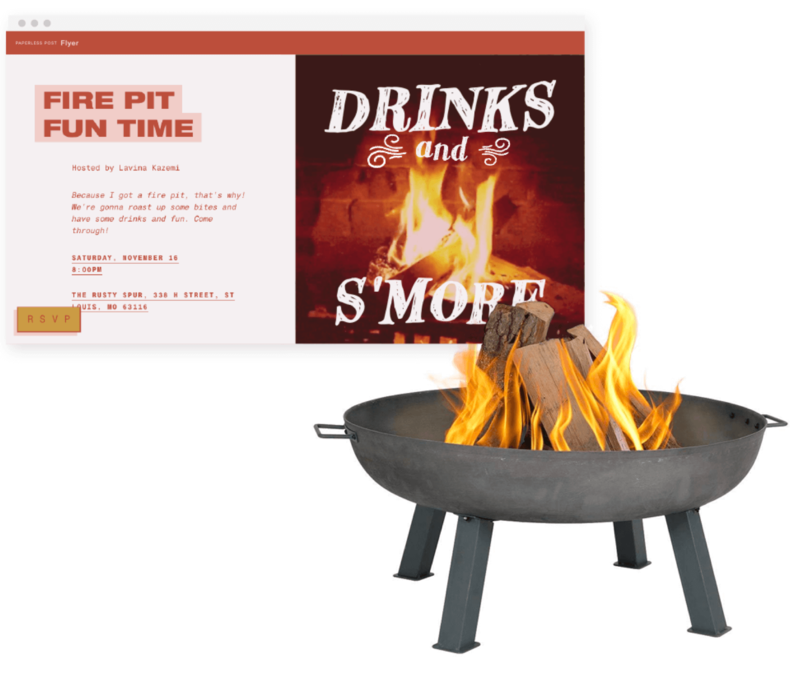 Suburbanites and West Coasters love a good fire pit. City dwellers can take in a romantic YouTube Yule log. Country folk can keep it traditional with a crowd-pleasing backyard bonfire. Load up on marshmallows, graham crackers, and chocolate for s’mores. Smart hosts set all utensils and cookware outside ahead of time to minimize snowy boot tracks in the house. Level up: Refresh your spiked apple cider game. Go beyond s’mores without any hoop-jumping by serving baked potatoes in foil cooked over the open fire. Keep your guests comfortable by having blankets and hand warmers set out when they arrive. Photo by: Lizzie Munro for Punch. Photo by: Chelsie Craig for Bon Appetit. Why to host: To satisfy your competitive streak without having to leave your living room. A game night works for those with a soft spot for nostalgia (“Jenga” and “Candyland,” anyone? ), a couple of couples, or people who just like to drink and blurt words. What to do: Pre-make a batch of Hot Penicillin and keep it on a low simmer on the stove throughout the night for effortless drinks that still make everyone feel a little warm and fuzzy. Guests will likely bring beers or bottles of wine, but a prepared cocktail helps reduce the post-game cleanup. You can Amazon Prime yourself games if need be, but chances are you already have several board games gathering dust in the closet that would love to come out for a few hours of fun. Why to host: Nobody wants to move in the dead of winter, but sometimes, you gotta. For these friends, we suggest taking an event that could be a drag and turning into an excuse to have a low-effort, high-reward housewarming party. There’s no need to wait until all your boxes are unpacked; in fact, it’s the perfect excuse to break in your new digs without fussing over decor. Level up: Stock the fridge with beer and prepare something for guests to snack on that is both simple and can be made ahead of time, like slow-roasted pork or brisket complemented by a pot of pasta or couscous. Dress up the entryway with a vase of eucalyptus by the front door. 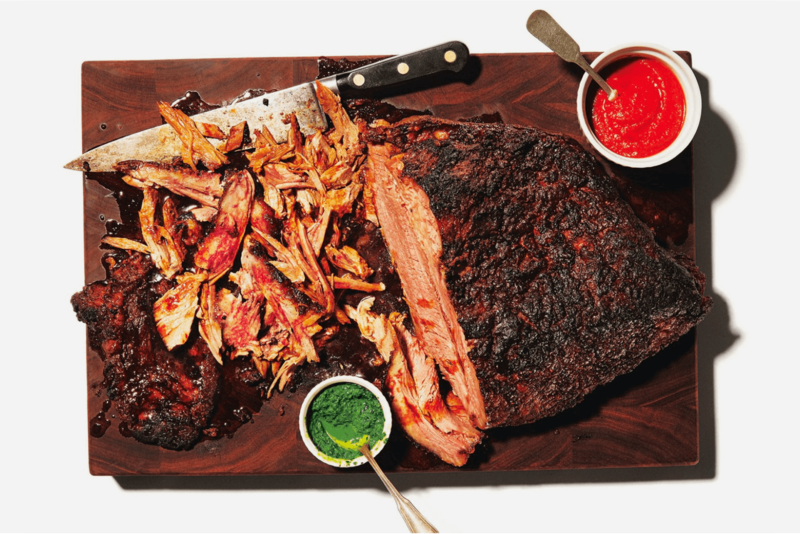 Photo by: Jarren Vink for Bon Appetit. Now that you know people are itching for a casual winter gathering, find the right invitation to summon them over to yours.